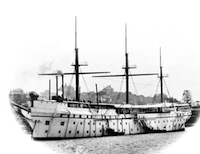 The training ship Tingira was originally laid down as the Sobraon for the shipping firm Lowther, Maxton and Co. The original design provided for composite sail and steam propulsion, however, the latter was not incorporated and the ship was completed as a three masted clipper relying solely on sail. 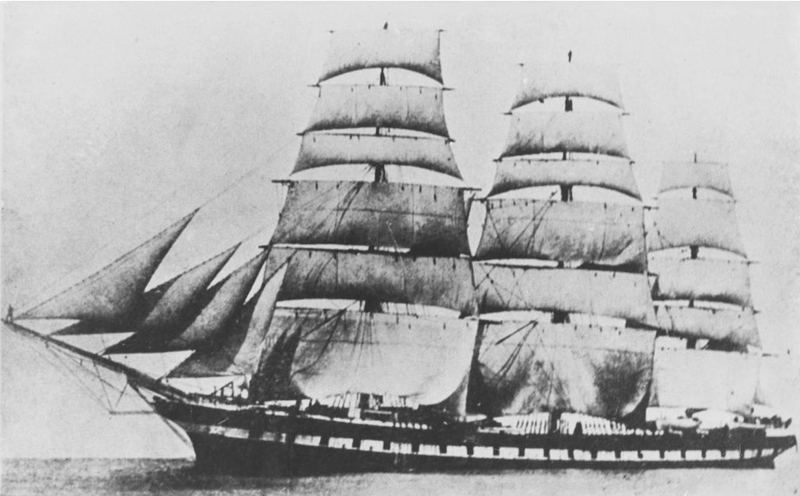 The clipper ship Sobraon under full sail in her heyday. With all sails set she had a spread of two acres of canvas. There was accommodation for 90 first class and 41 second class passengers. Her decks comprised upper, main, lower and orlop. A large space was reserved for the carrying of livestock, which included pigs, bullocks and sheep. Several hundred poultry was also included and was considered a necessity for the class of passenger carried. Fresh milk was always available for passengers, as cows were part of the livestock for this purpose. She was one of the few ships fitted with a large condenser which allowed the passengers and crew a liberal supply of fresh water daily, in most ships of that period water was rationed. She was also fitted with a large ice chamber which was capale of holding three tons. After carrying cargo and passengers between the United Kingdom and Australia for many years she was purchased by the New South Wales government in 1891. Moored off Cockatoo Island and under the control of the New South Wales State Welfare Department she was used as a reformatory or Nautical School Ship for wayward boys until 1911. Sobraon moored in Sydney, with her sails removed, as the Nautical School Ship NSS Sobraon. While in Sobraon boys received three 'square meals' a day and were under constant supervison. Discipline was reportedly harsh. In 1911 Sobraon was purchased by the Commonwealth Government for £15,000 and fitted out as a boy’s training ship at Mort’s Dock Balmain. The name chosen for her was an aboriginal word meaning ‘open sea’ and she commissioned into the RAN as HMAS Tingira on 25 April 1912. Tingira became a well known sight in Sydney harbour at her permanent mooring in Rose Bay. There she was supported by shore facilities in Kent Hall on New South Head Road. Nearby Lyne Park was also used for the purpose of parade, rifle and field gun training. 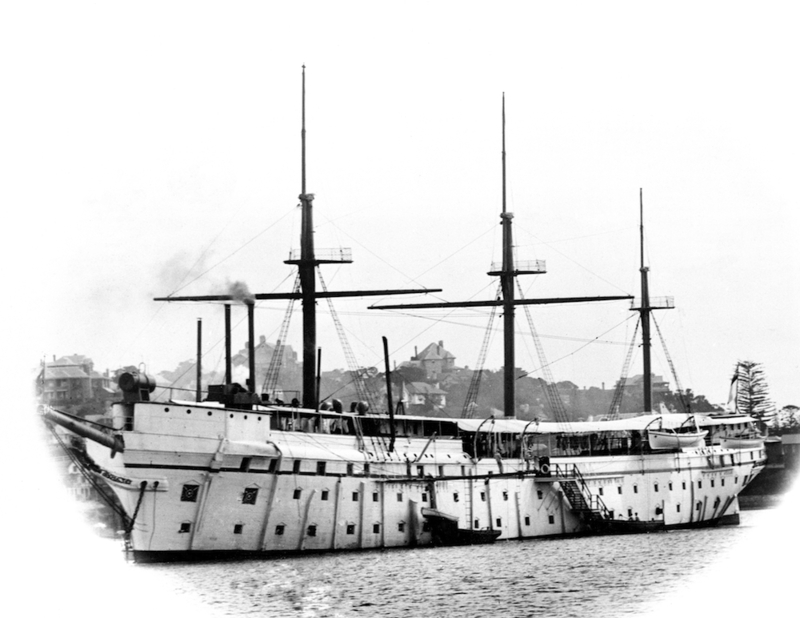 HMAS Tingira, her topmasts gone and in her new white livery as a training ship. 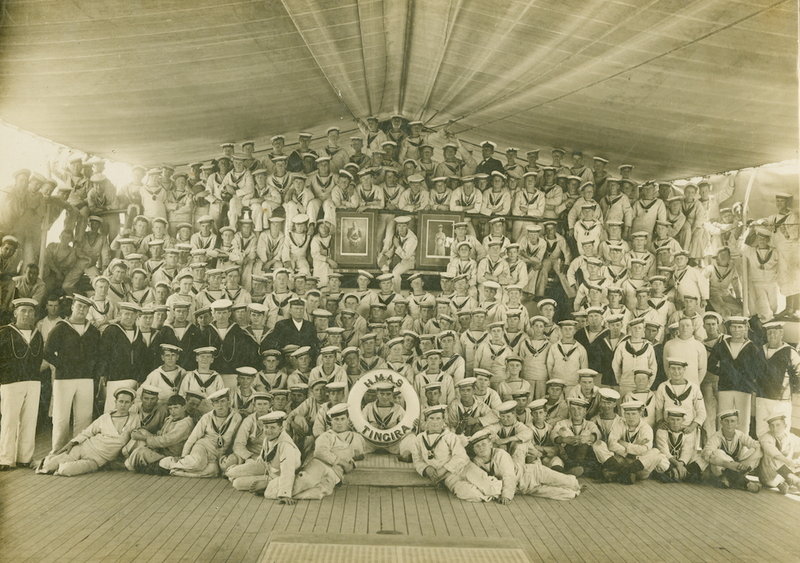 On 1 June 1912 the first batch of 37 boys recruited from New South Wales joined Tingira. Drafts from other states quickly followed, completing the first intake of 100. Entry was limited to boys between the ages of 14½ and 16 years who were bound to serve for seven years following their 18th birthday. The first 100 Tingira boys pose with their instructors in late 1912. 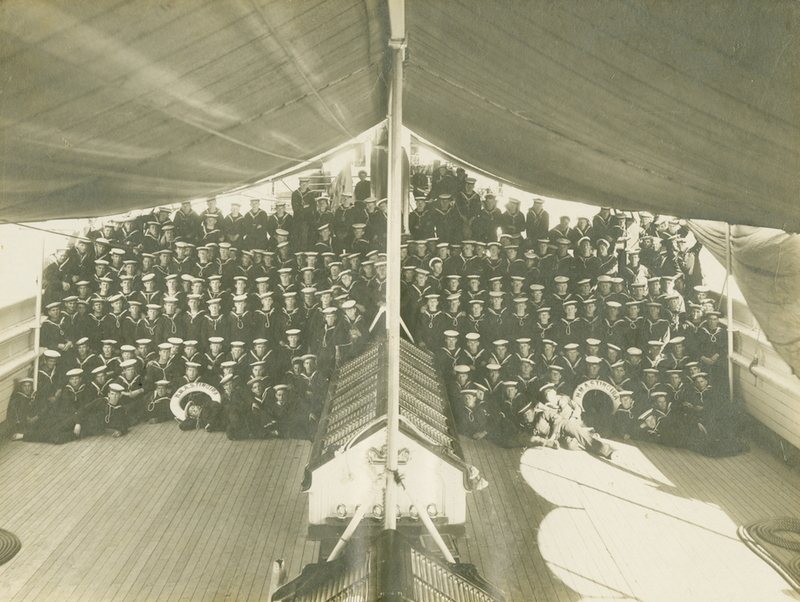 Arriving on board Tingira, the boys were immediately assigned an official number which remained with them throughout their naval service. They were then placed in either the 'port' or 'starboard' watch and kitted up in what was termed casual clothing. This was an interim naval kit consisting of: a cap, duck (coarse white material) suit, towel, soap, hammock and blankets. Shoes were only ever worn when undertaking parade or gunnery training or when going ashore for Sunday divine service. A more complete kit-up usually followed a week later. Sport played a big part in the life of Tingira boys building team spirit and camaraderie. Berthed in Rose Bay, nearby Lyne Park was used to teach rifle drill and field gun procedures. 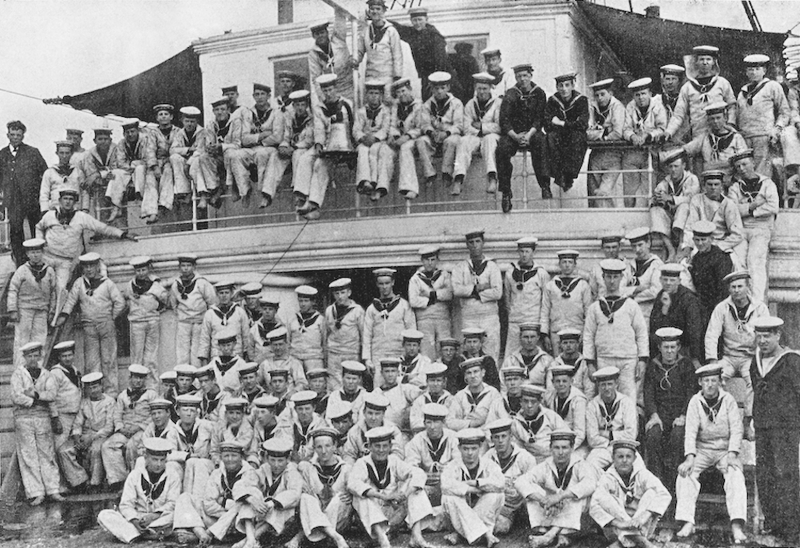 Boys were placed in classes of about 12 and for the first four months they received comprehensive instruction in seamanship. 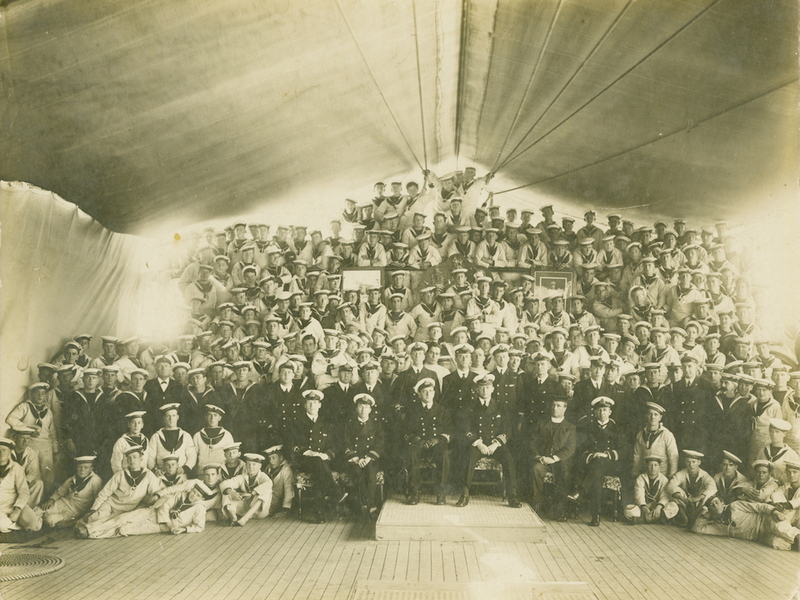 On completion, they would sit an examination before beginning their gunnery training. This was where discipline reportedly came into its own. Everything was done at 'the double' and failure to carry out correct drill or any order with alacrity was severely dealt with. 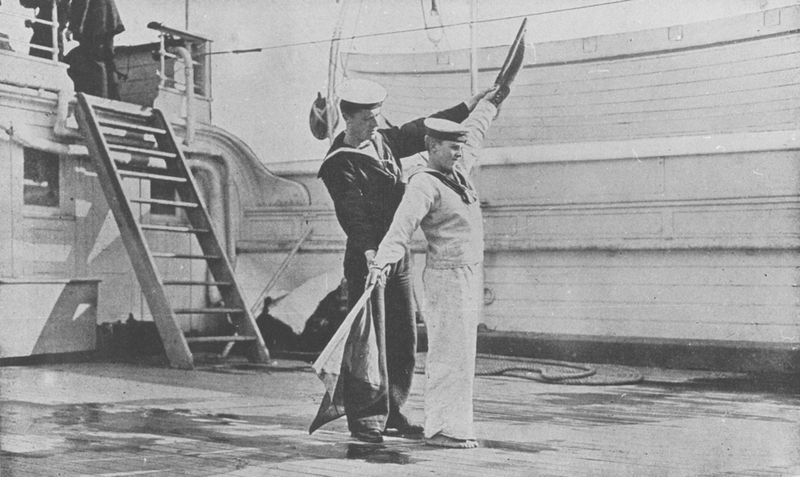 Training in visual signalling saw many Tingira boys progress to serve as signalmen in the RAN fleet. A typical day's routine for a Tingira boy saw them turn out at 05:30 and 'lash and stow' their hammocks before mustering for baths and showers. After bathing, each boy would receive a cup of cocoa, known as 'ki', before 'turning to' and cleaning ship. Boats would then be turned out and on completion the boys would fall in for physical training. The last boy to fall in would be sent over the ship's rigging half a dozen times which was never a pleasant prospect, particularly with no footwear on a cold, frosty morning. Tingira boys undergoing physical training. Note the heraldic shield, a trophy removed from the wreck of SMS Emden, mounted on the mast. Inset: The shield is today displayed in the Australian War Memorial in Canberra. 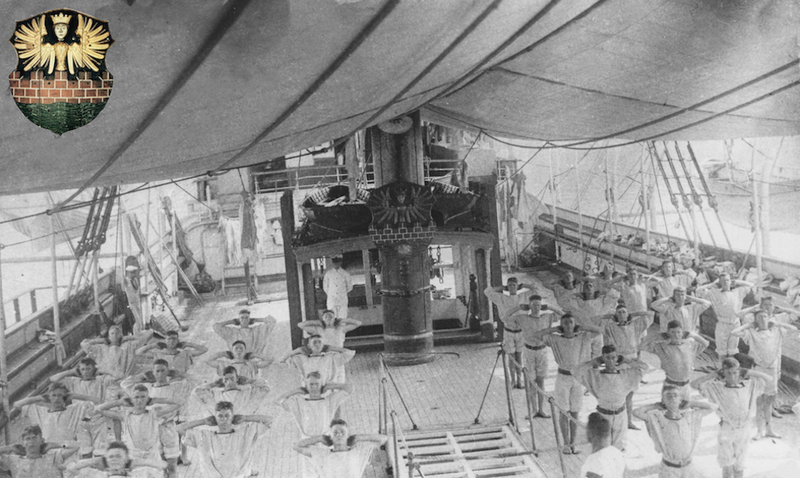 After a vigorous half an hour of physical training all of the boys would be ordered over the ships rigging three times before mustering for breakfast. Grace was said before all meals which were overseen by the ship’s padre. On completion of breakfast the day’s classroom and practical instruction began, continuing until 1600 at which time the boys turned their attention to domestic duties or compulsory organised sport. At 19:00, on completion of supper, the boys were allowed to write letters or participate in voluntary games until 20:30 when they were fallen in before being ordered to ‘turn in’. Lights out occurred promptly at 21:00. 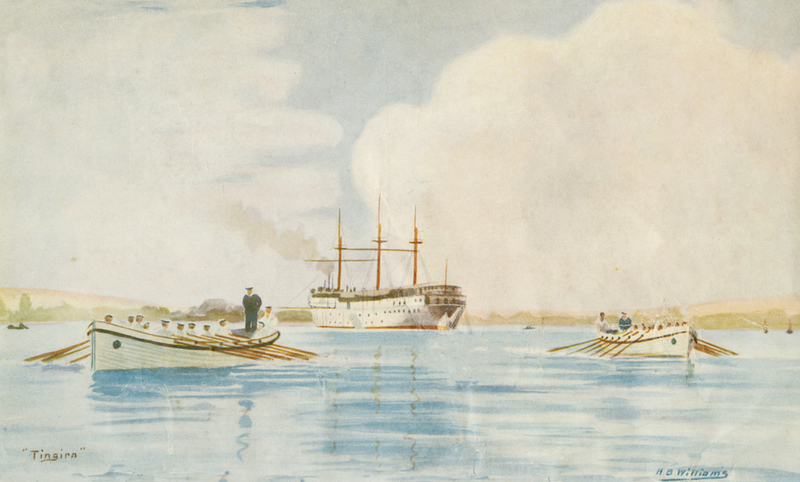 During her 15 years in commission 3158 boys were trained in Tingira and most took their place as sailors in the fleet. Many served in the RAN during the two World Wars and some, such as Signalman JW Varcoe, DSM and Petty Officer JT Humphries, GM were decorated for individual acts of gallantry during those conflicts. The last draft of the Tingira boys began their training in 1926 and in August that year recruiting of boys ceased. 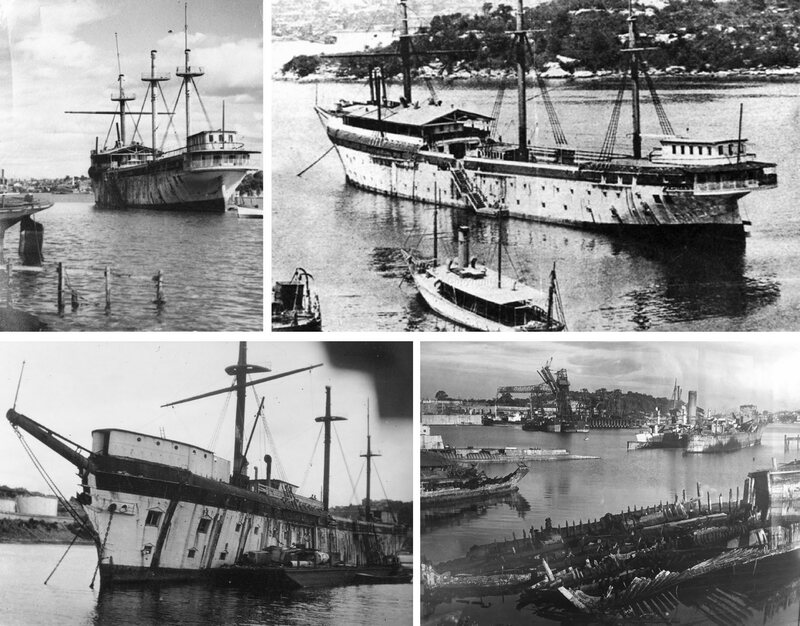 On 30 June 1927 Tingira paid off and after passing through the hands of a number of different owners she was broken up in Sydney in 1941. 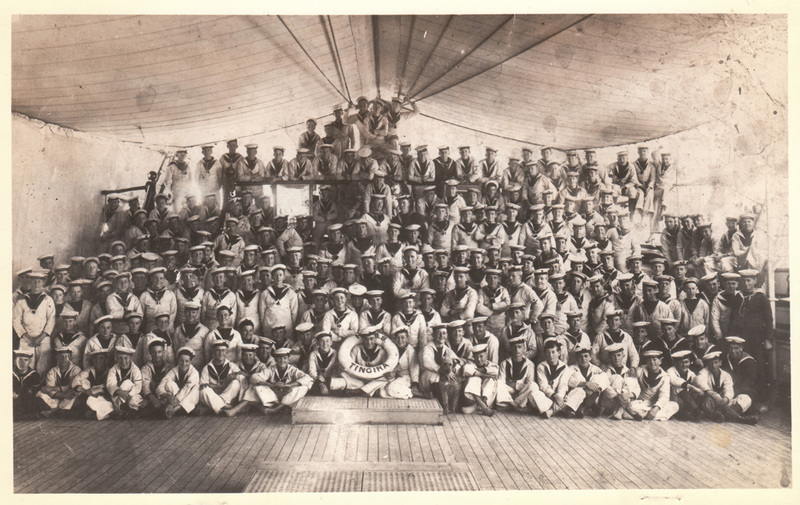 Boys and crew of Tingira, circa 1922. 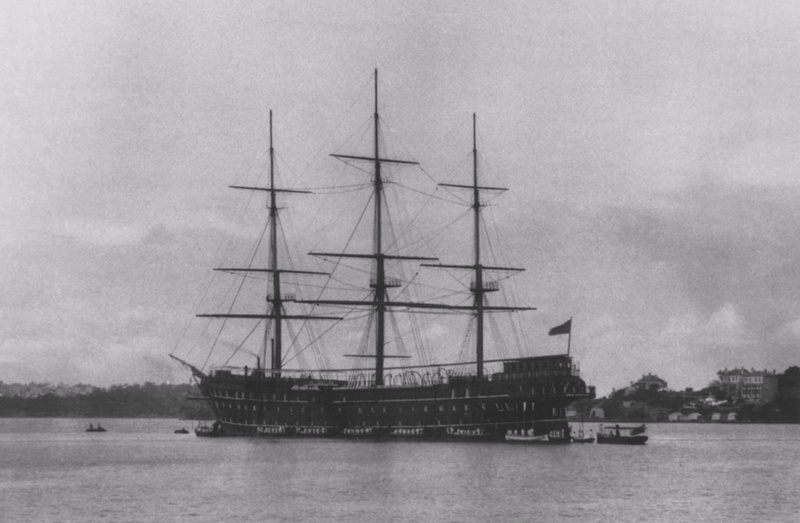 Tingira moored in Rose Bay, her permanent home as a boy’s training ship. 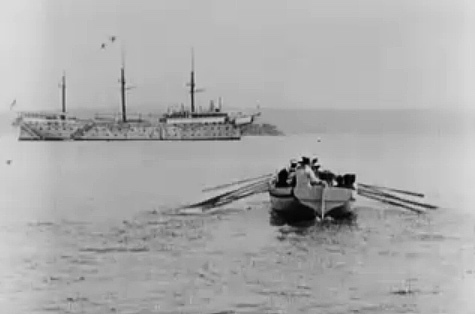 In 1916 a short film entitled For the Honour of Australia featured recruits joining Tingira in Rose Bay. Tingira following her decommissioning in Berry's Bay where she was later broken up.